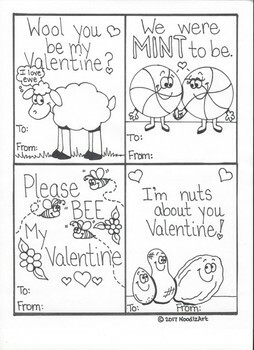 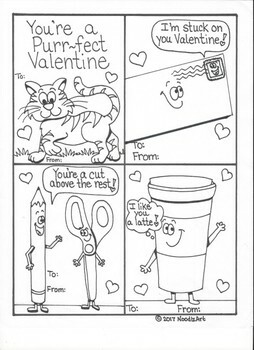 Students will enjoy coloring these fun hand drawn valentines from NoodlzArt. 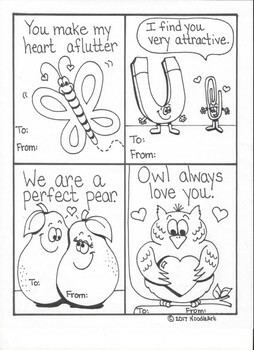 Each card has a funny pun for students to learn about play on words. 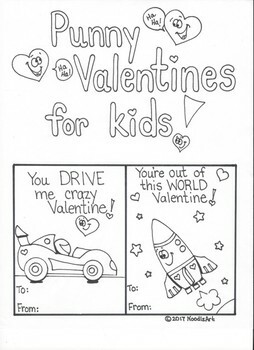 Makes a great activity with any Valentine celebration.